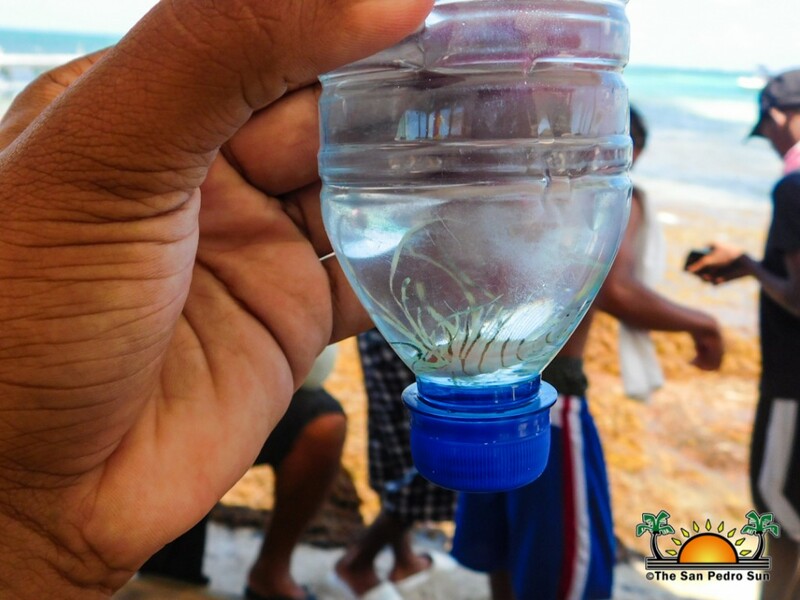 Caye Caulker’s 3rd Annual Lionfish Derby Competition, held on Saturday, March 24th at the Barrier Reef Sports Bar and Grill, assisted in reducing the population of the invasive species in local waters. 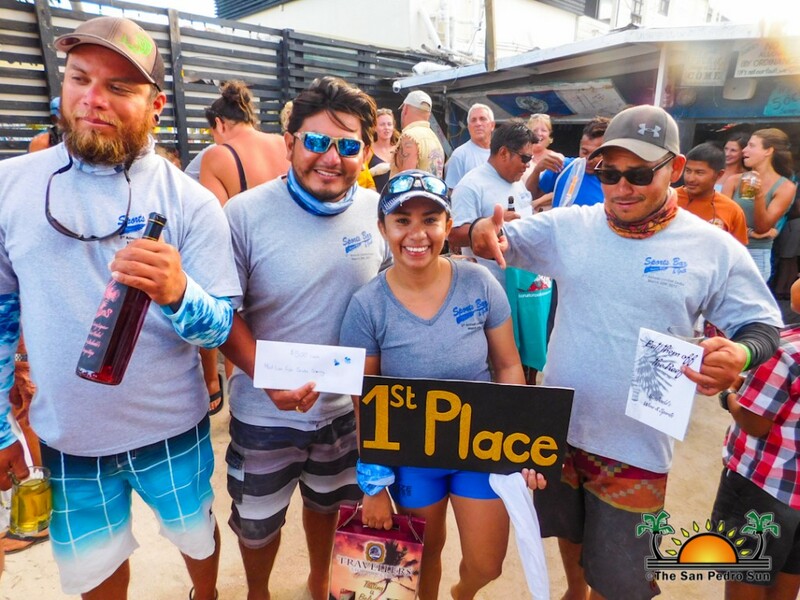 The competition saw the following 10 teams competing to win prizes in four categories; Contour, Sagebrush from San Pedro’s Amigos Del Mar Dive Shop, Scuba Sensation, Belize Diving services, APBX, Lions Fish Hunters, Miguel, French Angel, Los Locos and Caye to Happiness. 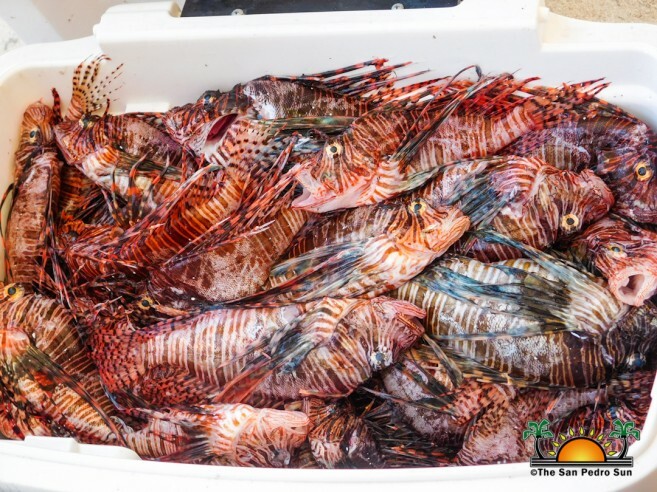 Starting at 7AM, boats headed out to sea fully equipped with everything they needed to catch as many lionfish as they could and hopefully claim one of the fabulous prizes the tournament had to offer. 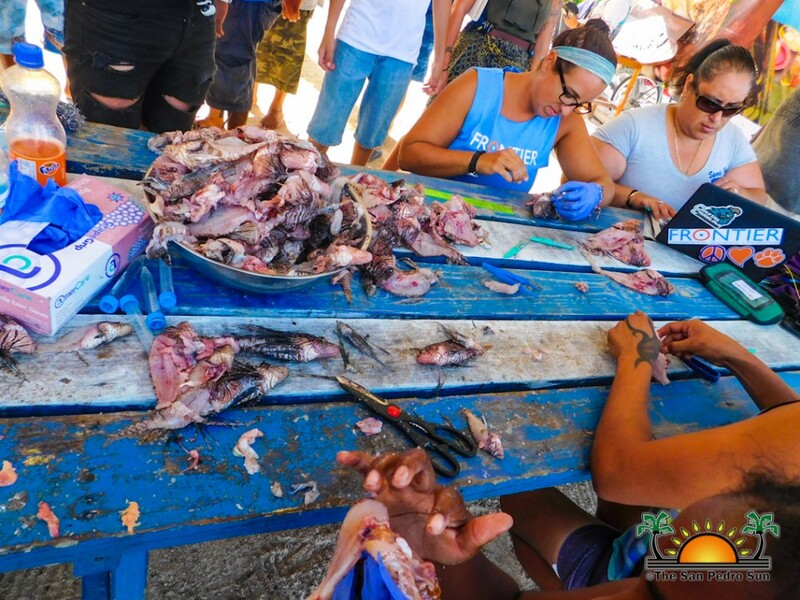 After approximately eight hours at sea, teams started to arrive back to the island around 3PM with their ice boxes full of lionfish, ready to weigh and count. The weighing station saw a large group of spectators gathered to view the huge amounts of fish caught. 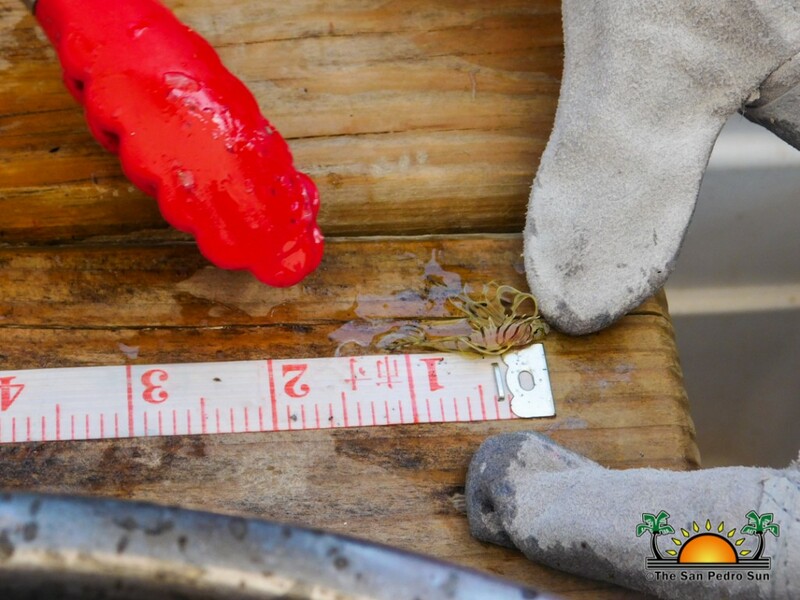 The size of lionfish ranged from one and a half inches up to 11 inches. 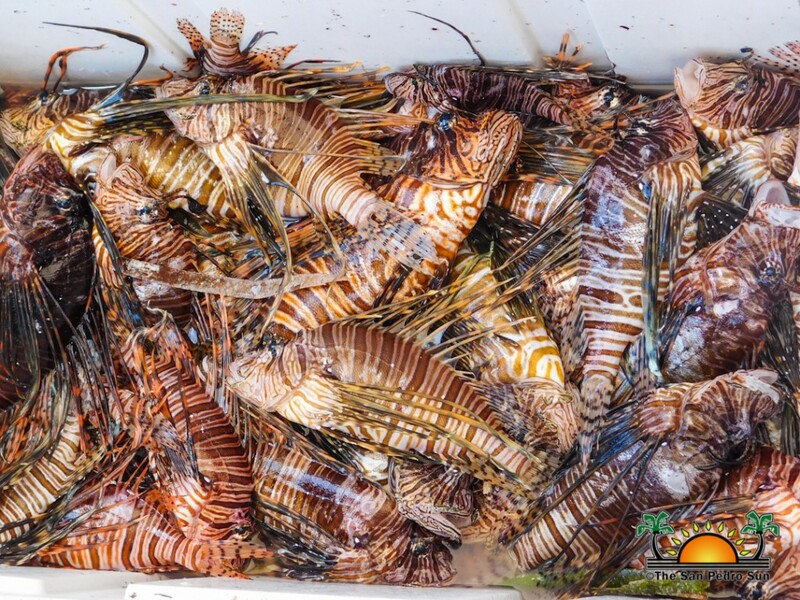 A total of 597 lionfish were caught during the tournament. At the end of the day when all the catches had been counted and weighed, the respective winners were announced. 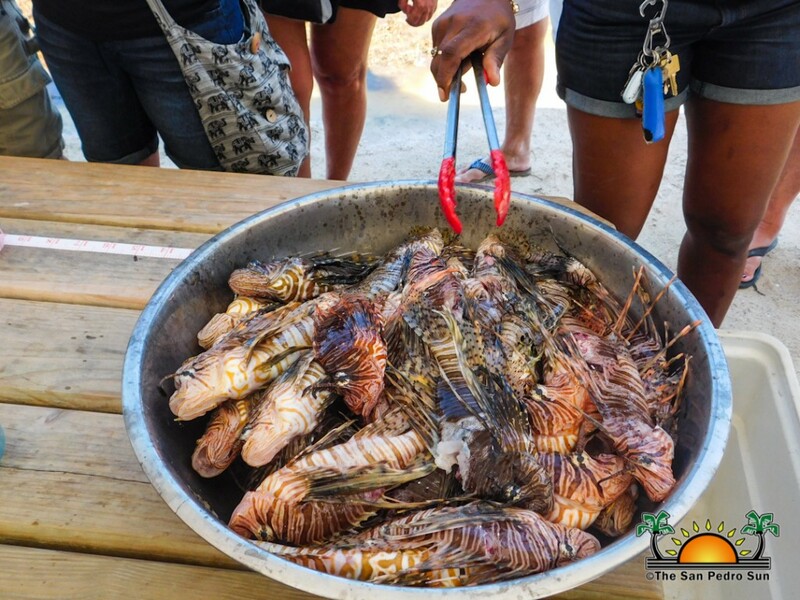 The award for “most lionfish caught through scuba diving” went to San Pedro’s Sagebrush Team, who caught a total of 121 lionfish. 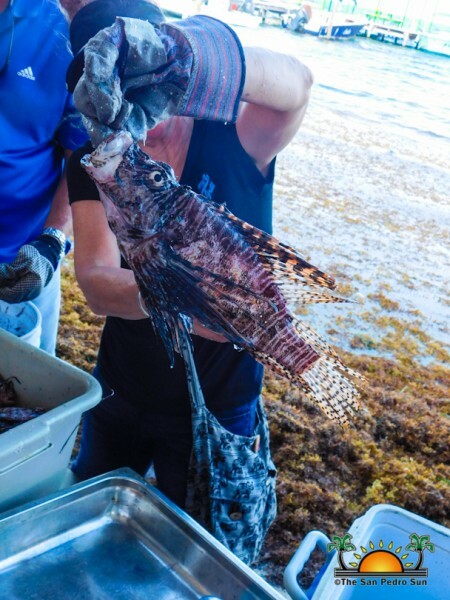 The win for the “most lionfish caught via free diving” was French Angel, who caught a total of 115 lionfish. 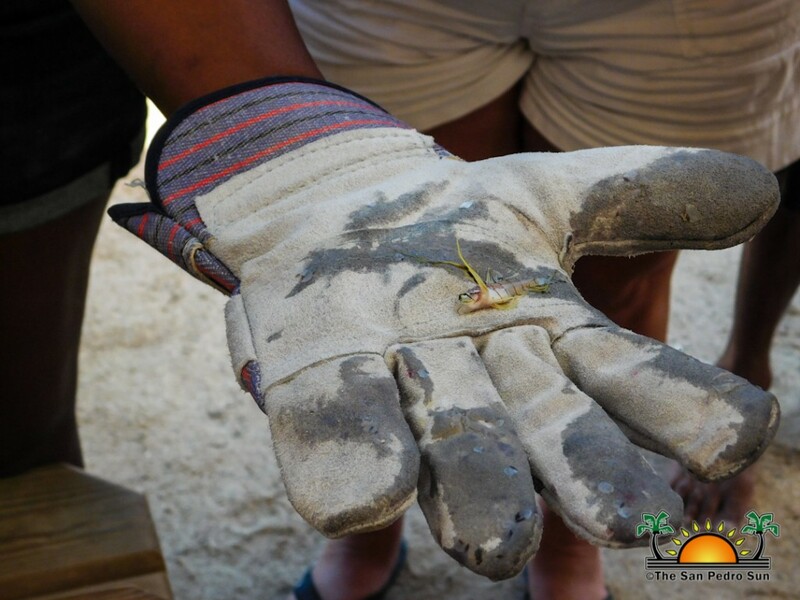 The prize for the “smallest lionfish” went to Caye to Happiness for catching a fish of only one and a half inches in size, while, the prize for the “largest lionfish” went to Scuba Sensation, for an 11-inch fish. 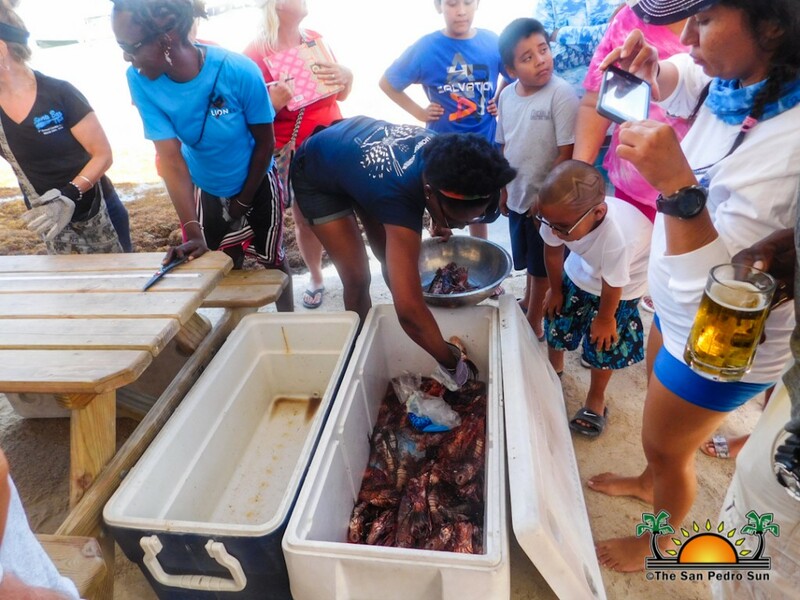 Majority of the teams decided to donate all of their catch to Barrier Reef Sports Bar & Grill to serve up. 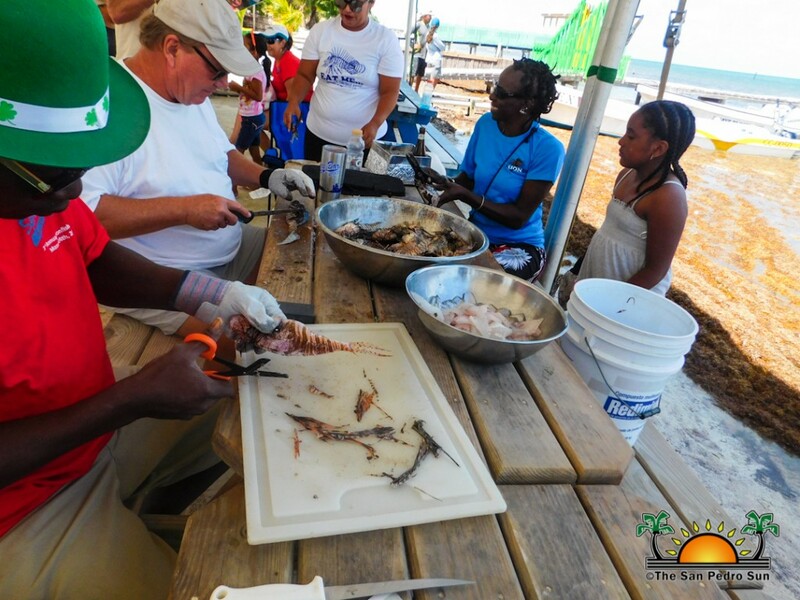 After the tournament, spectators were invited to purchase tickets in order to sample different lionfish dishes prepared such as ceviche, grilled or fried. 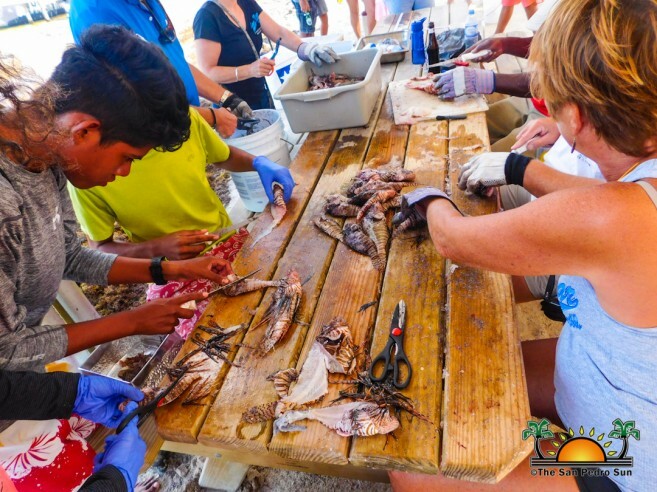 After tasting delicious appetizers, spectators had the chance to participate in raffles, purchase lionfish jewelry that was on display and even see how conservationists collected scientific data from the various specimens caught. All proceeds from the raffle will benefit Caye Caulker Humane Society, Caye Caulker Roman Catholic School, and Frontier Belize Operations in Caye Caulker. “This year’s competition showed a positive result as they were less fish caught than the previous year. That means that the species is decreasing in the ocean. 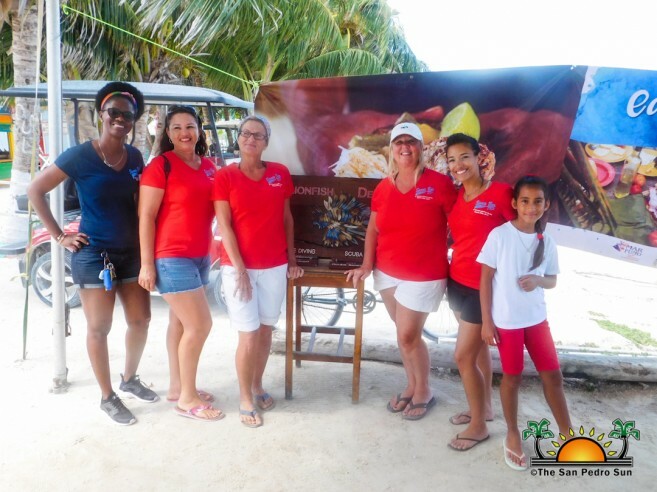 I believe the event was very successful and I want to thank all organizers, participants, and spectators for making it another success,” said organizer of Caye Caulker Lionfish Derby Competition, Lynne Harris. Sponsors of the raffle included Travelers Rum, Bushveld’s Wine & Spirit and Lionator Pole Spears. 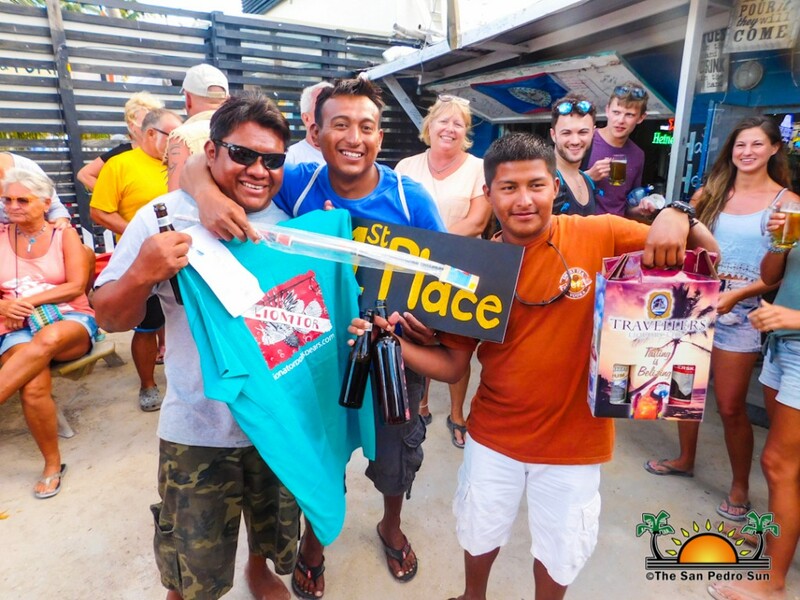 Special thanks go to Bobbi and Lee Williams, Angie Flowers from the Barrier Reef Sports Bar and Grill for sponsoring the cash prizes, Elsie Anastassiou from Frontier Belize and Oceana Belize Field Representative, Angel Briceno. Organizers of the event look forward to hosting the competition once again in March 2019.